Blog > The Dev Room > What Is a Mobile App, and Does Your Business Need One? But, what exactly is an app? When you install and open an app on your mobile phone, your phone’s operating system begins — or resumes — running a program designed specifically for mobile phones, and usually reliant on the cloud to function. Depending on the nature of the app, its software is designed to perform a specific task or set of tasks. For instance, you may have downloaded the Gmail app to view and send emails on your smartphone, or have installed the Facebook app to keep track of your social media profile. While these apps communicate and share data with their browser-based cousins, they are not technically the same. Logging into Facebook via a browser and accessing Facebook via an app essentially achieves the same end goal (access to your social media profile and browsing), however, both represent two entirely different methods of achieving that goal. To that end, there are thousands of apps from web browsers to social media to games. In the age of the internet of things — the interconnectedness of our smart devices and the ability to send and receive information instantly through these devices — using apps has become a way of life. We download apps for our specific needs and may pay for apps depending on the necessity or the quality of the software. The main draw here is usually mobility. 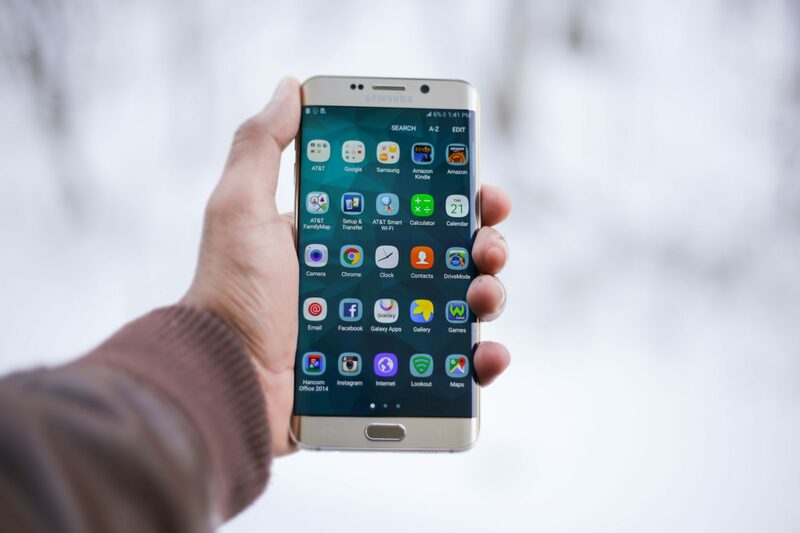 Apps are designed specifically to operate with a mobile device’s specifications in mind, completely eliminating the need for a laptop or desktop connection to the internet. Why do on a desktop what you can do on your smartphone? Furthermore, why search on the browser of your smartphone for a website when there’s an app for it? This reasoning has contributed to the recent explosion of apps and the decline of website usage. Applications bring another level of convenience to customers by accessing important portals or information directly and nearly instantly. As such, business apps are becoming increasingly crucial to the future successes of companies around the world. It is the behind the scenes work of APIs that makes the functionality and connectedness of an app possible. Put simply, an API, or application programming interface, allows an app to access online content through the internet, without having to navigate to a specific webpage using a browser. So instead of searching the web for weather forecasts near you, an app can simply use a weather API to serve that information to you. APIs cut out the extra steps of bookmarking pages or navigating the World Wide Web so that you get just the information you want, when you want. The use of APIs isn’t even strictly limited to mobile apps — many websites utilize APIs as well. As such, APIs can perhaps be best understood by example. Let’s say that you want to buy concert tickets. When you purchase your concert tickets through the ticket website, an API sends your credit card information to remote software that verifies this information and confirms the payment, then sends it back to the ticket website. The user/ticket holder will only see the concert ticket site interface; however, the API works behind the scenes to move information and provide a seamless, secure, and expedited user experience. In addition to confirming payments from a third party, APIs can bring information to provide the user with much more functionality and convenience. Developers can use custom coding, tailoring the information to let the user interact with the app as they want. For instance, there are APIs to give you insight into the financial world to provide you with information on the stock market, provide online banking, and more. APIs can provide interactive features, as well as simply opening portals to view online information — their exact function and utility is only limited by what users ultimately want, and what businesses and programmers wish to provide. For example, you may have downloaded a currency exchange app during a trip to Great Britain. There are many currencies, but as you are in Great Britain, you may only be interested in the British Pound. Developers can use customizable APIs to let the user filter information only pertaining to the British Pound — as opposed to the Euro, Yen, etc. Furthermore, notifications can be set up on the users’ phone to more closely watch the exchange rate. Any modern app will depend on APIs to function. It is via APIs that apps can have a push notifications function, even when the app is not running. APIs are the backbone of software and apps. Rather than sort through the mass of information and going back and forth between several sites, APIs allow for the connectivity, messaging, and instant access of information with the touch of one button. Increase customer engagement and encourage brand loyalty. Improve brand recognition and maintain visibility. These significant facets of business are too valuable for business owners to ignore, large and small. A mobile app has ways of accomplishing these business goals on many levels. Through apps, businesses can reach customers and connect with them instantly, providing a superior degree of interaction. What used to take whole departments, costing time and money for companies, can now be consolidated into one entity that performs many services — and many times without using employees. Mobile apps have all but automated what businesses need to survive, allowing companies to maximize efficiency. Maintaining communication with your customers is vital in keeping customer relationships and loyalty, brand recognition, and your company reputation. An attentive business that can quickly tend to customer questions and concerns should do well in the eyes of their customer base. Gathering feedback through surveys, promotion and giveaway alerts, scheduling appointments, and even chatting with your customers via text are all capabilities of a mobile app and APIs. These kinds of direct communication with your customers will be much appreciated and may contribute to customer retention. It can become frustrating for a customer to have to be redirected to several web pages or to have to scroll and search your site to find features, such as a payment button. In many cases, this may be a deciding factor in why a customer decided to navigate away from your site and purchase the same item elsewhere — more than likely, from a business who has a mobile app. With just a few taps in an app, you can accept payments through credit and debit cards, e-checks, or click-to-pay invoicing. To make things even more convenient, apps and APIs make it possible to set up recurring payments by remembering a customer’s information. The beauty of having apps on your smartphone is that you can access anything you want, at any time. Some people even have notifications set up on their phone to alert them when they are mentioned in a Tweet or Instagram post. Your mobile app can do the same thing, provided your customer allows your business’ app to do so, and your app is integrated with an API to push notifications. You can alert customers of promotions and coupons, prompt them to take surveys, or just pop in and remind them that your business is still there for them. All a customer has to do is look at their phone or mobile device, and they can become informed of the most recent updates associated with your business.